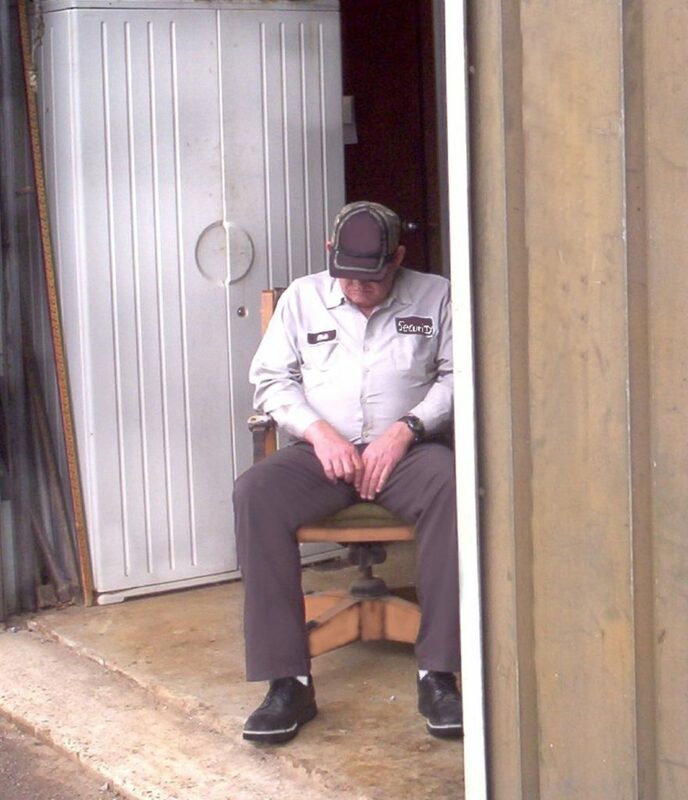 A common problem to the guard industry is guards sleeping on the job and/or missing events and/or reacting too slowly to an event to stop the crime etc. The average guard services pay their guards little more than minimum wage. 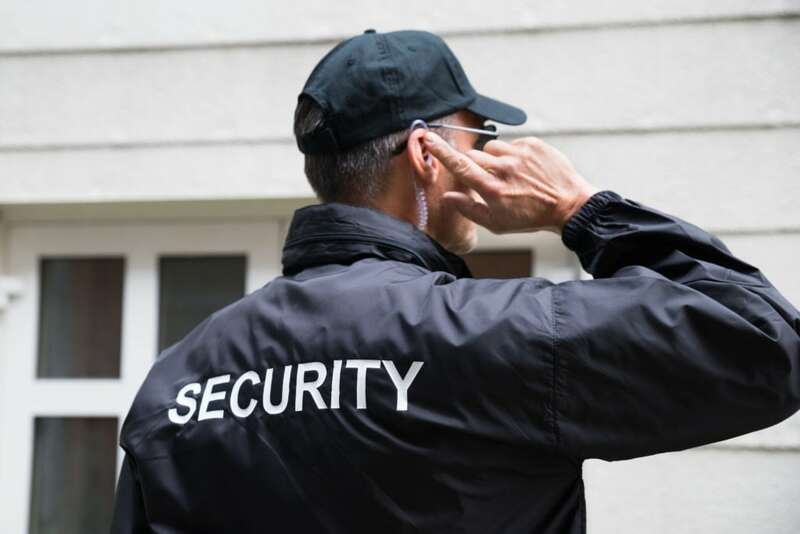 Consequently, the guard needs to find additional employment to help make ends meet. But a person has to sleep sometime, more times than not, they are getting their much-needed sleep on their guard shift. This means they’re tired and not fully alert & reflexes are slow. This does not necessarily mean ALL guards at this level are going to fall asleep, but your risk factor increases for sure. Another problem with security guards is that most are unarmed. This can present a liability to the property owner or contractor who hires them. If they are confronted with an armed criminal and gets shot, you can bet law suits are going to fly. It is also recommended that you back your officer up with a good video security system. Remote monitoring centers are set up with multiple “guards” (operators, agents) watching a limited # of cameras each and if one operator has 16 cameras and 2 of those go into alarm, another operator will take over monitoring of 14 cameras so that the 1st guy can deal with the alarm situation on the other two. With multiple operators in the center along with supervisors to step in as needed, it less likely that anything will be missed. 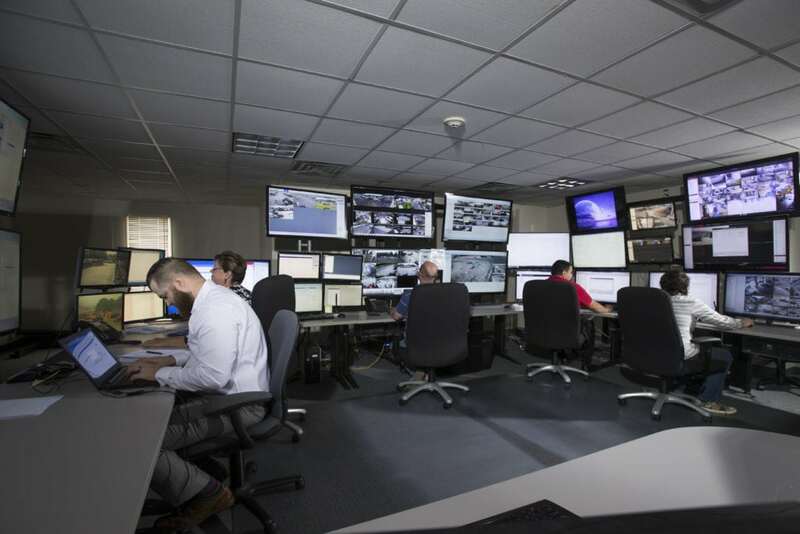 Remote monitoring agents are closely supervised and made to take frequent breaks to keep them alert in the middle of the day or night. They, in turn, can help keep your man on the ground both awake and safe. 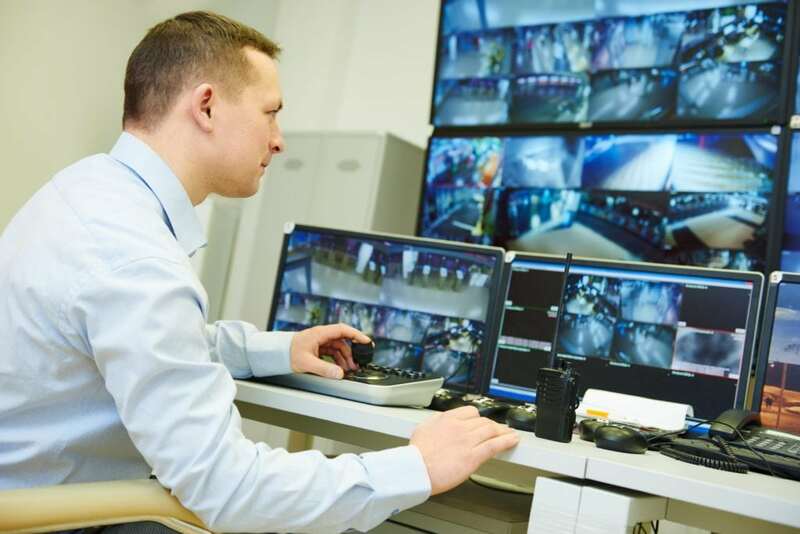 Combining a human guard with remotely monitored video security will not only provide your site with the best possible security, but it will save you a lot of money as well. 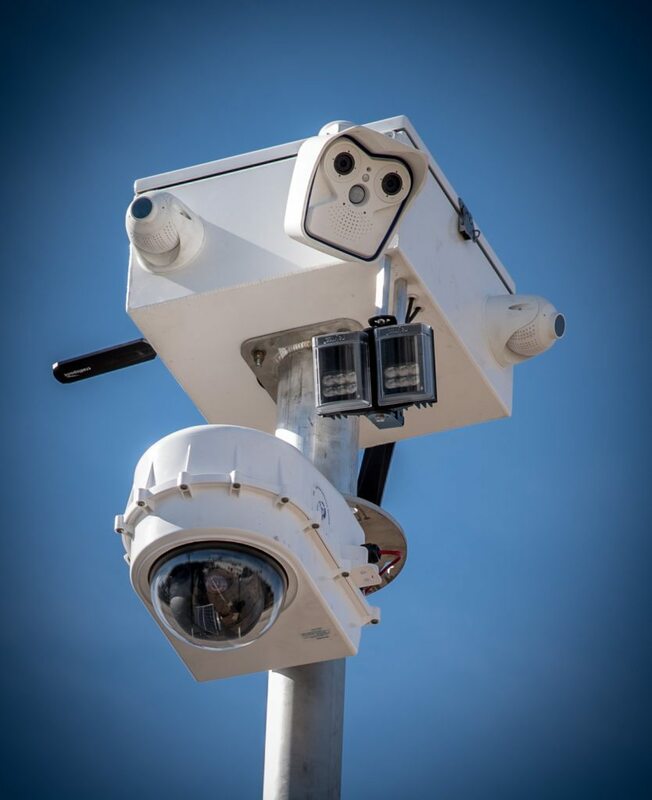 Remotely monitored video security costs about half as much as human guards and cuts down the number of guards you need because “eyes in the sky” expands a guard’s field of view 10-fold.